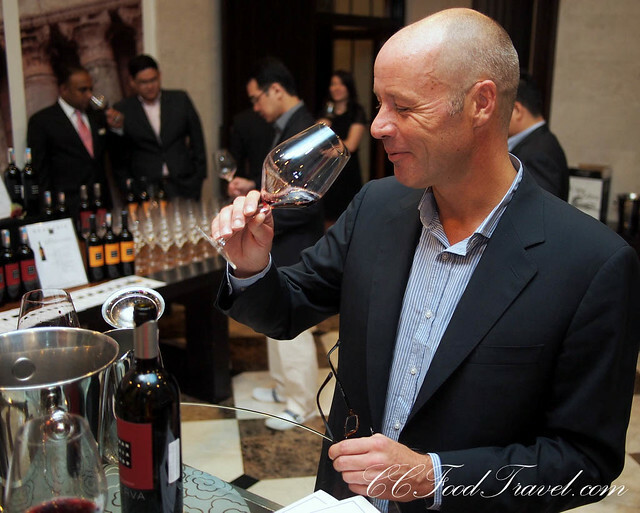 It was at the recent Brancaia Wine Tasting event at Favola, Le Meridien KL that we met, Martin Kronenberg, owner of the Brancaia estates in Tuscany, Italy. As we got to talking we tasted the wines, and I must say that Brancaia wines go down really well and are very drinkable, with or without food. And then there is the Chianti Classico and Maremma. Every quality producer in the Chianti Classico area worth his Chianti has two attributes in common. He or she must produce a Super Tuscan and must have some property bought recently in Maremma. For the Widmers, it was no different. IL Blu is the Super Tuscan label from Brancaia and Brancaia in Maremma is their estate in Maremma, which signifies that Martin and his wife Barbara Widmer had arrivati. Being awarded Tre Bicchieri, the most coveted award from Gambero Rosso for all but one of the IL Blu vintages tasted from 1994-2005- the Due Bicchieri 2002, which was a very tough vintage throughout Italy and most of Europe due to unprecedented rains, certainly does make them successful! About the history of the wines and the property – It was in 1981, when the Swiss couple Brigitte and Bruno Widmer fell in love with the at the time abandoned Brancaia estate (Castellina in Chianti) and purchased it. 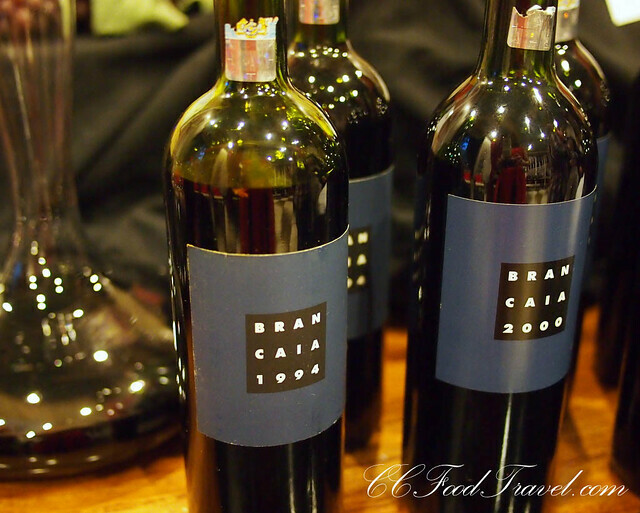 Only two years later, Brancaia made the first rank in an important Chianti Classico tasting and then rapidly gained international recognition. This lead to a continuous extension of the activities resulting in purchasing the Poppi estate (Radda in Chianti) in 1989, followed in 1998 by the founding of Brancaia in Maremma, only 10km from the Mediterranean coastline. Today Swiss couple Brigitte and Bruno Widmer, with daughter Barbara and son-in-law Martin, run this property better than clockwork and, in two decades, have firmly established Brancaia as one of Tuscany’s leading estates. Since 1998 Barbara Widmer, oenologist, has been responsible for the winemaking as well as for the vineyards on all three estates – she thereby relies on the consultancy of the famous oenologist Carlo Ferrini. The vineyards at Poppi (Radda) and La Brancaia (Castellina) are on ideal hillside locations at 230-400 metres above sea level, planted to 6000 vines per hectare on lean, stony, calcareous soil to naturally produce a low yield. Tre is a blend of three grapes – Sangiovese, Merlot and Cabernet – from their three vineyards in Radda, Castellina and Maremma. The Cabernet and Merlot add a little richness to the juicy Sangiovese fruit for an approachable, easy-drinking and very Tuscan red. 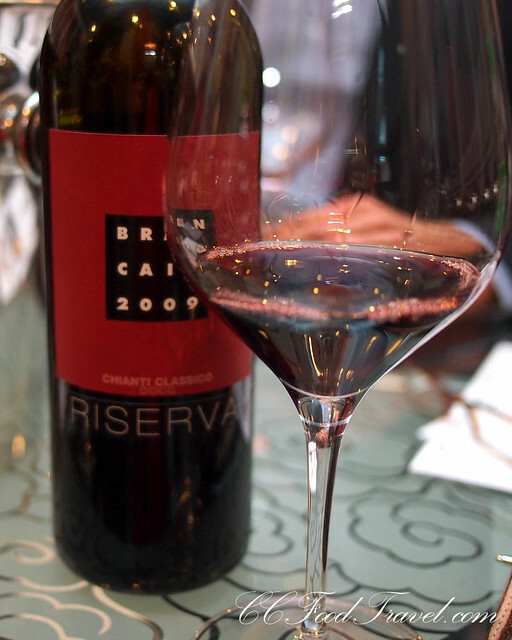 Chianti Classico Riserva, made with a little Merlot, is a shining example of the modern style that rewards cellaring. SuperTuscan ‘Il Blu’ made its debut with the 1988 vintage and has since garnered eleven Gambero Rosso Tre Bicchieri. A blend of 50% Sangiovese, 45% Merlot and 5% Cabernet Sauvignon, aged 18 – 20 months in French barrique, Il Blu is jam-packed with rich, ripe powerful fruit that is beautifully balanced with freshness and elegance. It drinks well in its youth, but has the structure to age gracefully over 20 years in the best vintages. Ilatraia is the new wine from their Maremma estate, established in 1998. The vineyards, eleven kilometres from the sea and southeast of Grosseto, are planted to Sangiovese, Cabernet, Petit Verdot and Merlot. The wine, a blend of 60% Cabernet Sauvignon, 30% Sangiovese and 10% Petit Verdot, is a real thoroughbred, immaculately packaged with all the hallmarks of the Brancaia stable. So what were we supposed to do.. but to plunge right into the IL Blu, since we had heard so many fine things about it! 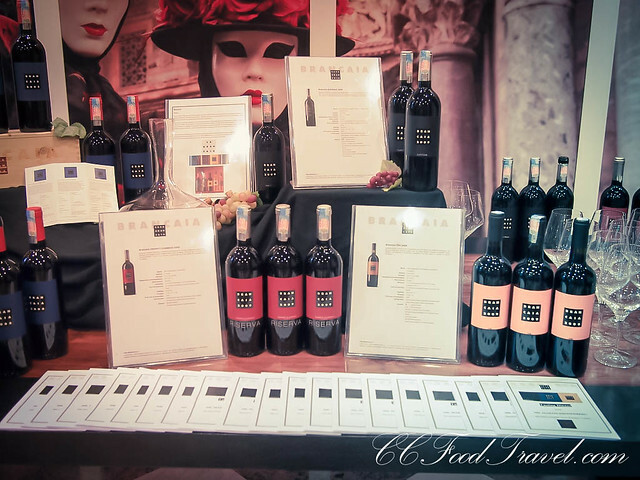 As this was the 1st “Brancaia IL Blu Super Tuscan” 7 vintages vertical wine tasting organized by The Straits Wine Company, we couldn’t wait to get started. IL Blu is a Super Tuscan made with Sangiovese in the majority, blended with Merlot and Cabernet. 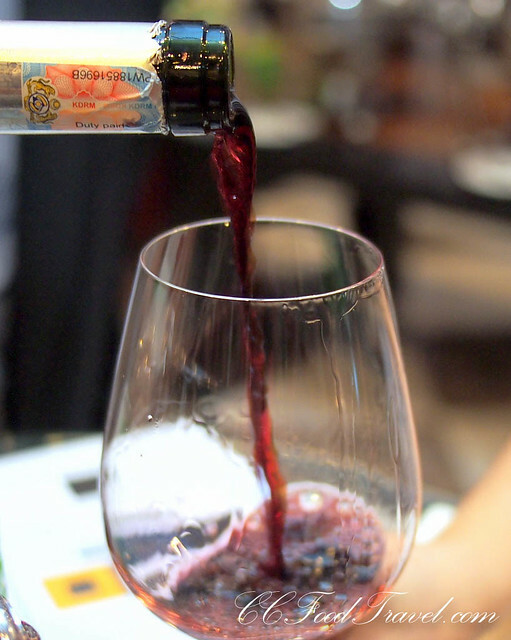 Initial years saw 55% of Sangiovese, 40% Merlot and 5% Cabernet, which continued with Barbara’s first vintage. But she decided to make a switch of 5% from Sangiovese to Merlot, making it slightly softer and a bit more luscious. The blend continues to have 50% Sangiovese and 45% Merlot since 1999. Martin did say at the beginning of the tasting that the company philosophy was not to produce wines for tasting but wines that could be enjoyed with or without food, preferably the latter. One sip should lead to the next and the next, till it was time for yet another bottle! I must say, in the end, we all had our favourites. Cumi’s favourite was the IL Blu 1994, and mine was the IL Blu 1997. IL Blu 1994 – A brick red colour with an orange hue gives away the old age of the bottle. Typical Sangiovese aroma with a light varnish touch, balanced acidity and firm tannins make this wine still alive though not quite in the prime of life. The IL Blue 1994 is the first vintage of Il Blu to garner the coveted “Tre Bicchieri” from Italy’s Gambero Rosso Wine Guide. It is currently displaying surprising freshness and liveliness, with nicely integrated tannins that still offer a touch of firmness on the finish. The fruit is sweet and fully ripe, with evolved, mature underlying flavours of dry earth, cured meat and iron to add an extra dimension of interest. Very good to excellent length. Ultimately without the depth and complexity of later vintages but still excellent. IL Blu 1997 – This was the vintage that was a great year for Super Tuscan wines, which put Tuscany on the world wine map. It is a key vintage for Brancaia too. The wine is still slightly closed, but the Sangiovese sweetness impresses on the palate. Aromas are bold and complex. There is good harmony between tannins and acidity. So smooth and easy to drink.. I loved this wine! The 1997 Il Blu lives up to the hype of the vintage, showing fully mature, gorgeous fruit and exotic spice aromas of dazzling aromatic complexity. Plenty of wet clay-like minerality adds another dimension to the complex mix. The palate is generous and mouth-filling, with full but velvety tannins, chest warming alcohol and lingering perfumed finish. A terrifically complete wine that will impress virtually anyone who tastes it. Ready to enjoy right there and then! My favourite for the night. 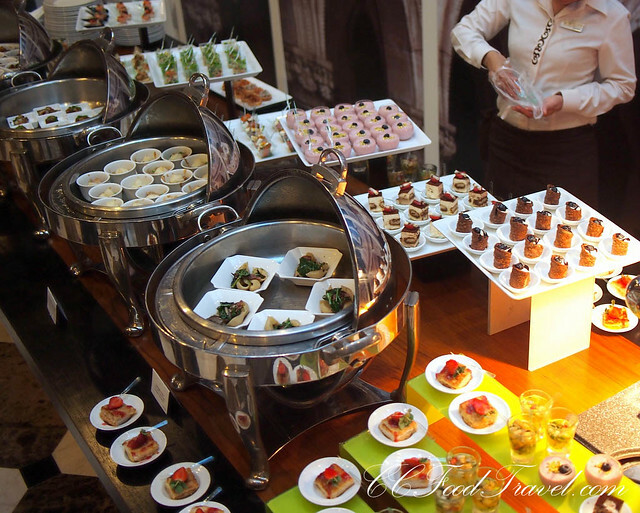 As we tasted the different vintages of wine, we had some gorgeously plated, delectable canapes, courtesy of Favola. Some of the wines went better with the canapes than others. I still prefer to drink my Brancaia wines as it is, without food. We talked some more and eventually it was time to go home. A great night out. 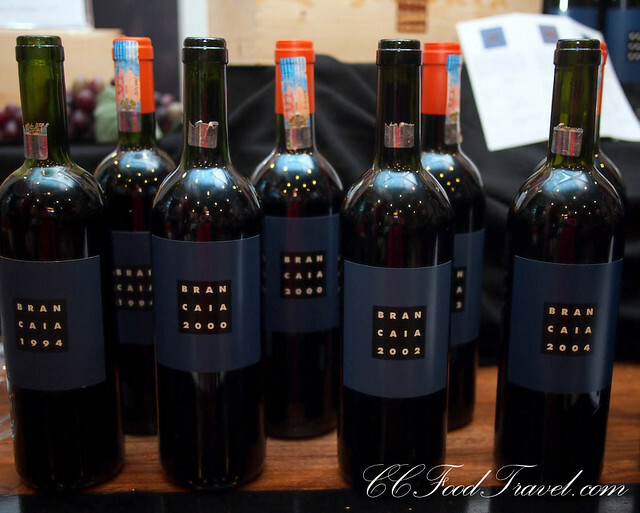 The super Tuscans definitely won our hearts that night! Like our post? Like our FB .. danke!